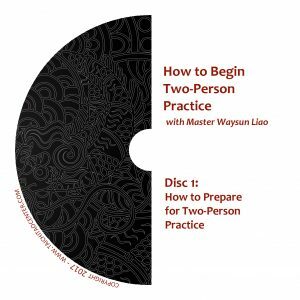 A seven DVD set of videos on “How to Begin Two-Person Practice” is now available. 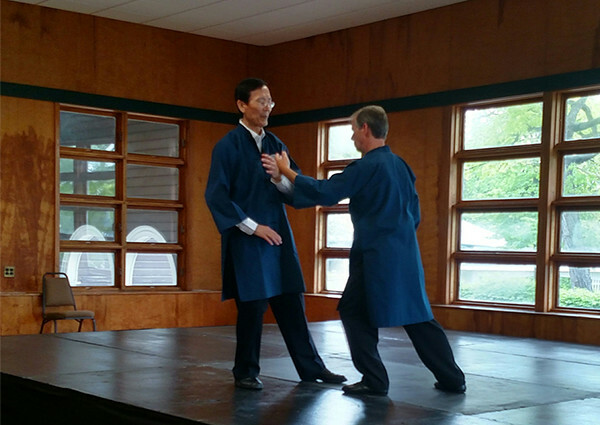 Recorded live at the 2017 Ultimate Internal Power Workshop seminar in Williams Bay, Wisconsin, the set is the first installment of Master Liao recorded legacy teaching on how to prepare for, connect in, and master two-person partnered practice. While two-person practice has often been called “Pushing Hands,” or associated with the form “Single Hand Push,” in truth, virtually every Taichi form can be expressed or used in two-person practice. In fact, this new series features an entire DVD on practicing the forms Single Whip and Split with a partner. Why should you include two-person practice in your Taichi training? Master Liao explains that working with a practice partner provides valuable feedback on your sensitivity as well as your ability to create and project a Jing signal. Your practice partner helps you develop the power to extend your awareness and energy outside of your body. This ability is important to every application of Taichi, including martial arts, healing and spiritual development. With sections on attaching and five-style steps, as well as solo practice specifically designed to build power and flow that will carry into your two-person work, this set is truly a treasure. These seven DVDs, plus the single DVD “Advanced Tao Gong Energy Practice,” comprise the entire recorded 2017 seminar. For those interested, the upcoming 2018 Ultimate Internal Power Workshop will be a continuation of Master Liao’s teaching on two-person practice, going even deeper into these principles along with solo practice instruction. Registration is open, don’t miss it!